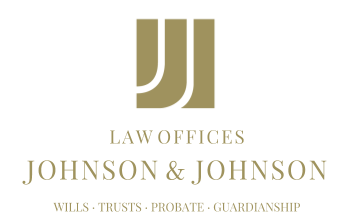 When Nevada families decide to create an estate plan, they likely think it will consist of a will, medical directives and/or designation of a guardian or power of attorney. One less common potential piece could be a prenuptial agreement. These can be used by both spouses as a part of estate planning to ensure that, in the event of divorce or death, their wishes for the distribution of their assets and property will be honored. A prenup as part of an estate plan might be more common with a second marriage, as older adults are more likely to have amassed a significant amount of assets prior to the new union or they already have their own children. The risk of not having a prenuptial agreement in this situation is that, upon one spouse’s passing, one’s estate could go to the new spouse and, subsequently, his or her children as opposed to the children of the deceased spouse if no will exists. No matter the situation, it is important that people consider exactly how they want their estate managed in the event of their death. In Nevada, community property laws typically dictate that property that is accumulated during a marriage will be equally owned by each partner if no other legal agreement has been filed. Filing a prenuptial agreement could outline provisions to keep assets with the spouse who acquired it and allow them to pass it to their own children much more easily. Though many people might assume that prenuptial agreements are only helpful for those who have a great deal of wealth, they can be useful for anyone with their own money or property. Estate planning may seem like a cumbersome task, but it is an important one to help assure that one’s wishes are honored. A thorough estate plan should be a priority for everyone. It will help answer any questions loved ones may have regarding the end-of-life directives of their family members.